PolitiFact reached out to the National Security Archive’s CIA expert John Prados to help fact-check key claims Gina Haspel made during her contentious nomination hearing to lead the agency. PolitiFact also cites the Archive regarding Haspel’s exceedingly dubious claim that the 92 video recordings showing CIA personnel waterboarding detainees were destroyed to avoid a “security risk” to agents’ safety. But safety was not mentioned by the CIA at the time of the destruction. 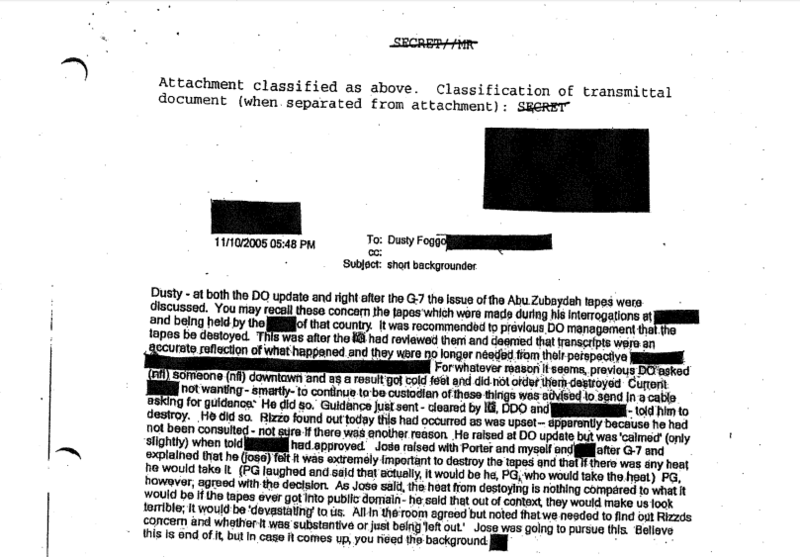 A declassified 2005 CIA email released to the National Security Archive shows the CIA thought “The heat from destoying [sic] is nothing compared to what it would be if the tapes ever got into the public domain.” There is no mention of security risks. 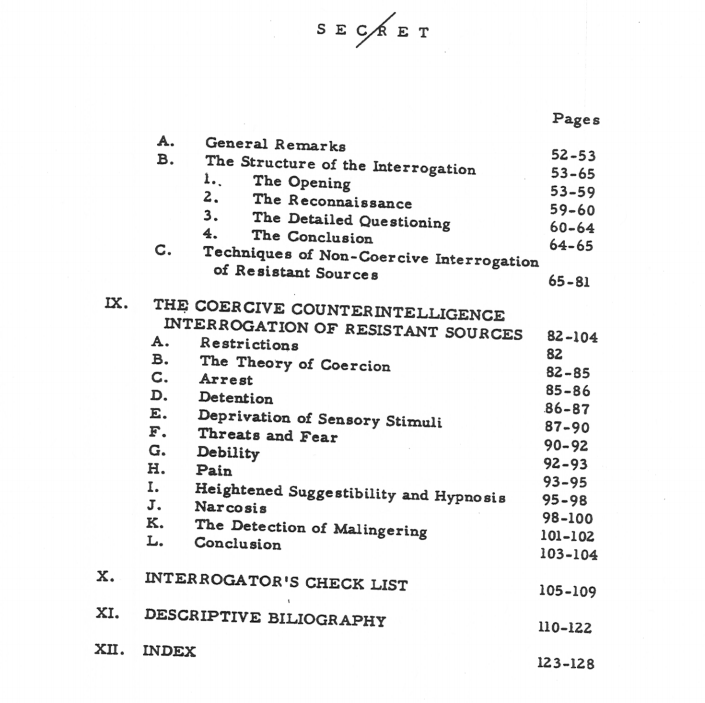 Classification and redactions still cover key questions of Gina Haspel’s torture story. Among them are: whether she was still the chief of base when the Green site closed on December 4, 2002; did she supervise the November 27, 2002, waterboarding sessions of Al Nashiri; and did she ever object to the torture, or express any qualms? An excellent collection and analysis of what is available can be found in a recent Archive posting. The U.S. National Archives recently approved the CIA’s Capstone email preservation schedule that will capture and preserve more than 426 CIA email accounts as permanent. The plan is a welcome change of pace from the agency’s more recent attempt to only preserve the emails of 22 senior agency officials. Public outcry eventually forced the CIA to withdraw the plan in 2016. NRDC obtained the emails after filing a FOIA lawsuit. Five years ago today, one of the most celebrated human rights trials in Latin America came to a stunning conclusion when Guatemalan dictator, retired army general, and self-proclaimed “president” Efraín Ríos Montt was convicted for genocide and crimes against humanity by a panel of three Guatemalan judges. To commemorate that milestone, the National Security Archive is posting the groundbreaking ruling by the court that found Ríos Montt guilty. The Archive is also making a collection of declassified documents available that chronicle Washington’s unabashed support for the dictator at the height of his powers. Get the story and read the documents here. 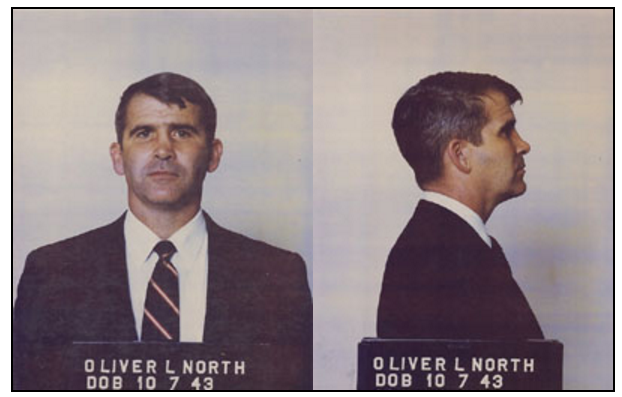 The National Security Archive’s Cyber Vault is highlighting the Office of the Director of National Intelligence’s report on the use of FISA orders and national security letters during CY 2017 this week. The posting includes the 2017 report as well as all previous reports back to statistics on calendar year 2013. These statistics are valuable in understanding the scope of and trends in government surveillance under national security authorities. Mr. North’s diary entries, from the reporter’s notebooks he kept in those years, noting multiple reports of drug smuggling among the contras. A Washington Post investigation published on 22 October 1994 found no evidence he had relayed these reports to the DEA or other law enforcement authorities. Memos from North aide Robert Owen to Mr. North recounting drug-running “indiscretions” among the contras, warning that a known drug-smuggling airplane was delivering taxpayer-funded “humanitarian aid” overseen by Mr. North. Mr. North’s White House e-mails recounting his efforts to spring from prison a Honduran general who could “spill the beans” on the secret contra war, even though the Justice Department termed the Honduran a “narcoterrorist” for his involvement in cocaine smuggling and an assassination plot.